If you suffer from irritable bowel syndrome (IBS), you're probably always on the lookout for products to provide relief, particularly natural ones. If so, I have great news for you. A new review study has identified a natural substance that can help with the symptoms. 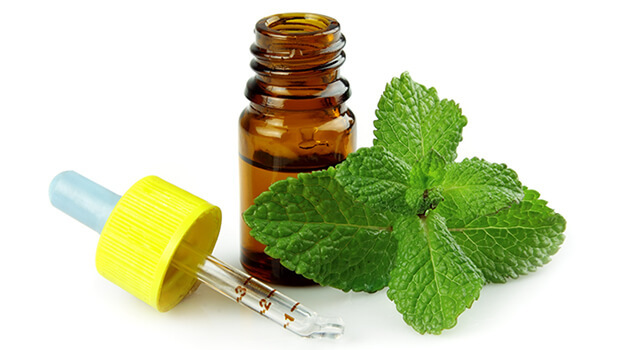 For this study, researchers evaluated a total of seven randomized, controlled trials that examined the use of peppermint oil to offer IBS relief. Peppermint oil is often used for GI issues because it helps the intestinal muscle and lower esophageal sphincter to relax. Most of the participants in the trials evaluated were women, which makes sense because women are more likely to suffer from IBS than men. Overall, the studies reported that peppermint oil worked more effectively than a placebo at easing the symptoms of IBS. One study even found that it worked better than the pharmaceutical treatment 1-hyoscyamine. This is good news, as this treatment often comes with unpleasant side effects. Peppermint oil is an all-around great remedy to have in the house even if you don't have IBS. It's great for nausea of any kind. It also can help with sinus and nasal congestion. You can either just put a drop or two on your tongue or add a few drops to some water and drink it. The researchers did note that peppermint oil did occasionally contribute to heartburn, nausea, and even vomiting in some participants, so it's not for everyone. And if peppermint oil proves to be a bit much for you, you can also try sipping some peppermint tea. Many people report that it can help settle an irritated stomach.